Are you doing all you can to reduce your environmental footprint when behind the wheel? Read on to find out. 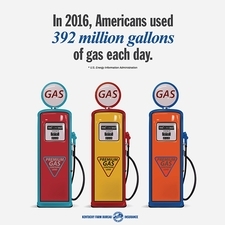 In 2016, Americans used an average of 392 million gallons of gasoline each day, according to the U.S. Energy Information Administration (EIA). Americans have always had a love affair with cars. Yet whether you prefer the power of a muscle car, versatility of a pickup truck, spaciousness of an SUV or the practicality of a minivan, there's a common thread: They all require gas. Even so, just how much each vehicle uses can sometimes depend on the driver. 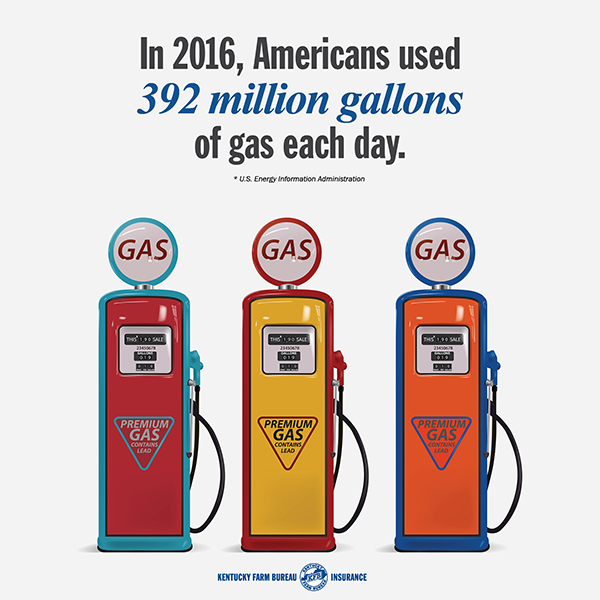 In 2016, Americans used an average of 392 million gallons of gasoline each day, according to the U.S. Energy Information Administration (EIA). Having a hard time envisioning what that many gallons actually looks like? That’s enough gasoline to fill up more than 7.8 billion bath tubs! Don’t idle. 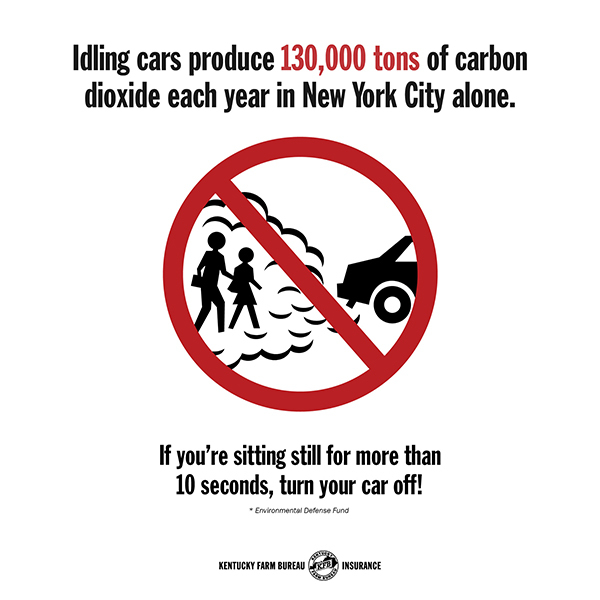 In New York City alone, idling vehicles produce 130,000 tons of carbon dioxide every year, according to a report by the Environmental Defense Fund (EDF). Just how much pollution is that? In order to offset it, we’d need to plant a Manhattan-sized area with trees every single year. You can help by turning off your ignition if you’re sitting still for more than 10 seconds. Restarting your car does not burn more fuel than leaving it idling; in fact, idling for just 10 seconds wastes more gas than restarting the engine. Give aggressive driving tendencies a break! If you abstain from rapid acceleration/braking, you can lower your gas mileage by as much as 33 percent at highway speeds and five percent around town, according to the U.S. Department of Energy. Similarly, if your car has an “economy mode,” button, try it out. This feature reprograms various systems in your car to be less aggressive. 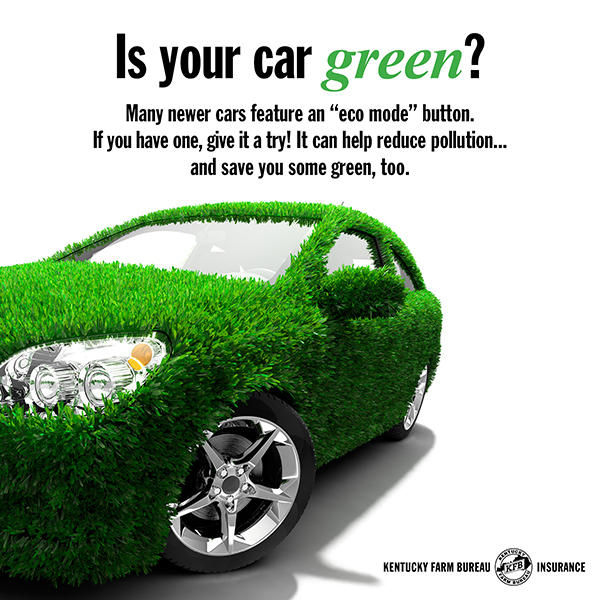 You can push down on that gas pedal all you want, but your eco-friendly car won’t let that lead foot win. Don’t speed. 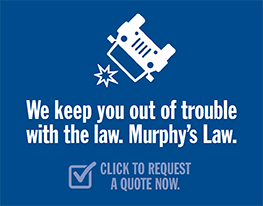 Observing the speed limit potentially saves you from a ticket and can save your gas mileage. Each 5 mph you drive over 60 mph can reduce your fuel economy by 7 percent, according to the U.S. Department of Energy. Use cruise control when possible. In most cases, keeping a constant speed will help save gas. Get regular tune-ups! Fixing a car that is noticeably out of tune can improve your gas mileage by about four percent. Combine trips. Many short trips taken from a cold start can use twice as much fuel as one multi-purpose trip covering the same distance. Avoid unnecessarily carrying cargo. Toting around a kayak may look cool, but rooftop loads can reduce fuel economy by 10 to 25 percent on the interstate, according to the U.S. Department of Energy. The best way to warm up your car is to drive it. Idling your car on a cold morning is a thing of the past. It’s true that older cars, which relied on carburetors, needed to warm up to work well, but today’s cars see no benefit to a warm-up period. For a personalized look at your car’s fuel economy, visit www.fueleconomy.gov. >> KFB lives and works in the Bluegrass State. To see some of the ways we’re invested in helping Kentucky flourish, click here.